I've been a huge fan of Kelly Clarkson's since the moment she first set foot on the American Idol stage all the way back in 2002, and it's baffled me that in the 13 years since, she's never gotten quite as famous as I was expecting. Sure, most people know her name and her music, but they don't have the appreciation for Clarkson that they should, given her talent. And now, my admiration is extending to her generosity, too, as it turns out Kelly Clarkson's charity work is just as impressive as the woman herself. It was recently announced that our gal will be participating in Musicians on Call, a non-profit organization that sponsors the Rock the Room Tour, bringing big-name acts, both live and recorded, to the bedsides of patients nationwide who aren't well enough to attend concerts. (I'm not crying, I have something in my eye.) For this year's tour, which begins Oct. 21 in Nashville, Tennessee, Clarkson will be joined by Martina McBride and Reba McEntire, as well as other surprise celebrity guests. The tour has three other stops, in New York, Los Angeles, and Washington D.C., where other performers will be announced, but I really want us to focus on Clarkson. She rarely gets the credit she deserves for her talent, so I can't tell you the amount it warms my heart to see her not stage-crashing an award show to complain about her lack of recognition, but using that talent behind the scenes to improve the lives of others. Clarkson has her beautiful voice, she has her family (with another little baby on the way to join firstborn River Rose Blackstock! ), she has her fans... and that seems to be enough for her. She lives in a self-sustaining universe, putting stuff out there and giving back and watching it work its way back to her in the form of satisfaction. It's really pretty inspiring to watch her quietly going about her life, just being an extremely stellar person under the radar. In fact, Clarkson was actually honored at Musicians on Call's 15th-anniversary party last year in New York, so even among other celebrity givers like Bruce Springsteen, Justin Timberlake, and Pharrell, she stands out as the shining star she is. She may not be asking for the fame and the fortune that come with ascending to that next tier of fame, but that's exactly why she deserves it. Love this girl, love her songs, love her heart, love it all. 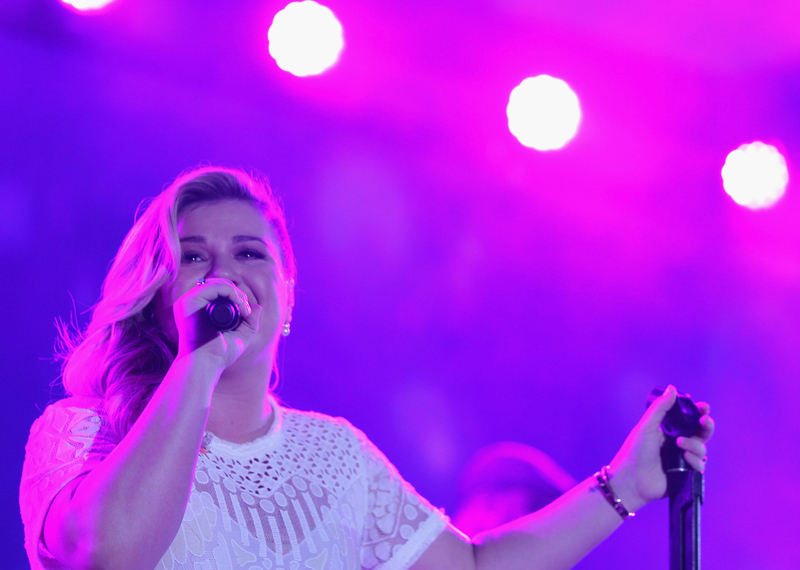 Thanks for being the best, Kelly Clarkson!